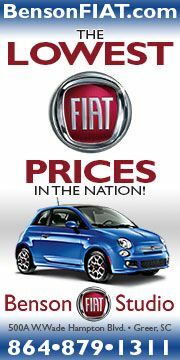 Fiat is kicking off the summer in high gear with new car launches and a new marketing campaign featuring a car giveaway! To celebrate and highlight the three new models (the fun Fiat 500 Abarth Cabrio, the roomy Fiat 500L 5 door and the all electric Fiat 500e) Fiat has teamed up with the Jones Soda Co. and will run a photo contest to giveaway prizes including Fiat and Jones Soda merchandise. The top prize is a brand new Fiat 500! Make sure you check out the details below and get your photos in! SEATTLE, WA – May 31, 2013 – Jones Soda Co. (JSDA), a leading premium beverage company known for its customer-designed packaging, and the FIAT Brand today announced their “Jonesin’ for a Fiat 500e” summer photo contest. The contest is part of a larger integrated marketing campaign for Jones Soda and the FIAT Brand to celebrate the companies’ new products, Natural Jones Soda and the automobile company’s all-new, all-electric Fiat 500e, which are both launching exclusively in California this summer. Between June 1 through October 31, contestants who submit photos of any Fiat 500 model will have a chance to win either a weekly prize or the Grand Prize. Weekly winners will be awarded a Prize Pack of Jones Soda and FIAT Brand merchandise. At the conclusion of the contest, a Grand Prize winner will receive a brand new 2013 Fiat 500 (a 500e if a California resident), surf lessons with Jones-sponsored professional surfer Brianna Cope, and have the winning photo featured on a run of Natural Jones Soda in 2014. Contestants in the U.S. and Canada can enter to win by submitting their qualifying photos using the hashtag #Jonesinforafiat500e through Jones Soda Co.’s official Website, Instagram, Twitter and Facebook pages. Submissions will be judged based on the quality and creativity of the photos. Beyond the “Jonesin’ for a Fiat 500e” photo contest this summer, the companies are partnering on event and sampling programs, including a presence at the U.S. Open of Surfing in Huntington Beach, California, in July, where Brianna Cope will be competing and showcasing the new Fiat 500e. In addition, Jones Soda and Fiat USA will have a Fiat dealership sampling program in California and will be collaborating on a range of social media initiatives. The contest is limited to individuals who are legal residents of the fifty (50) United States, the District of Columbia, and residents of Canada (excluding Quebec). Further details on the contest (including the official rules) and other events taking place throughout California in 2013 can be found at www.Jonessoda.com or fiatusa.com. Natural Jones Soda is sweetened with a proprietary blend of natural sweeteners including pure cane sugar, organic agave syrup and stevia, and each 12-ounce bottle contains 30 calories, five grams of fiber and five grams of sugar. This summer, the FIAT Brand is launching its all-new, all-electric vehicle into the California market. With its iconic Italian style, world-class dynamics and environmentally responsible zero-emissions design, the all-new 2013 Fiat 500e builds on the Cinquecento legacy, while offering customers a no-compromise electric vehicle (EV) that embodies the FIAT Brand’s simple, purposeful and fun-to-drive values. 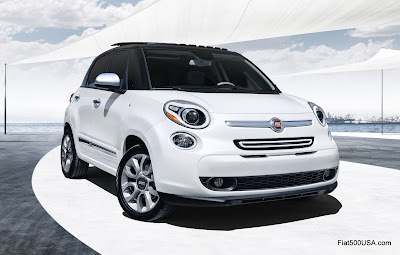 The Fiat 500e electrifies the Cinquecento lineup with even more innovation and style, an EPA tested 87 miles of best-in-class driving range and an industry-best 108 per gallon equivalent (MPGe) highway rating of pure battery-electric power. 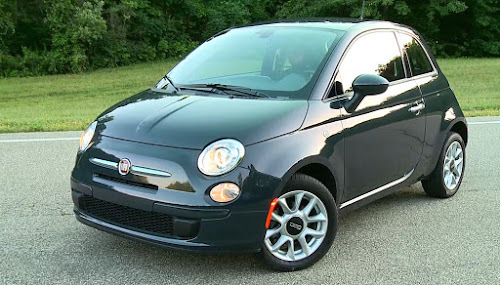 The all-new Fiat 500e is available in the second-quarter of 2013 and is priced at $32,600, which includes an $800 destination charge. However, eligible California residents may be able to purchase the Fiat 500e for as low as $20,600, after federal credits, state incentives and FIAT rebates are included. Headquartered in Seattle, Washington, Jones Soda Co.® (OTCQB: JSDA) markets and distributes premium beverages under the Jones Soda, Jones Pure Cane Soda, Jones Zilch and now Natural Jones Soda® brands and sells through its distribution network in markets primarily across North America. 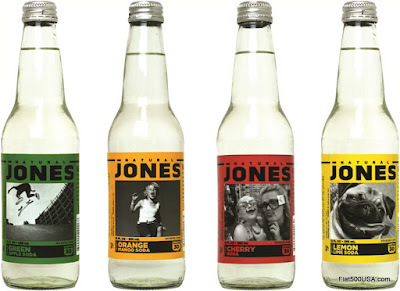 A leader in the premium soda category, Jones is known for its variety of flavors and innovative labeling technique that incorporates always-changing photos sent in from its consumers. Jones Soda is sold through traditional beverage retailers. 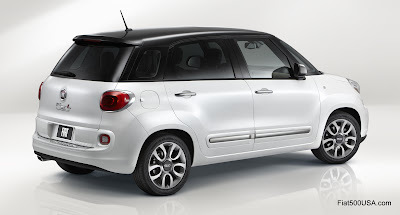 Pricing and equipment levels for the all new Fiat 500L have just been released! The Fiat 500L comes in four models - Pop ($19,100), Easy ($20,195), Trekking ($21,195) and Lounge ($24,195). 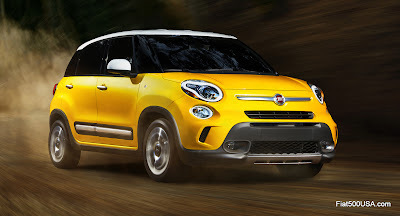 * In typical Fiat fashion, each version of the 500L comes very well equipped and loaded with features and technology that puts them at the front of their segment. For customers who want the perfect blend of rugged styling and versatility to match their active lifestyle, the all-new 2014 Fiat 500L Trekking adds to the Fiat 500L Easy model with aggressively designed two-piece front and rear fascias with Grigio Chiaro (graphite) inserts, fog lamps, satin-finished “whiskers,” door handles and unique lower front- and rear-fascia accents, Grigio Chiaro wheel arch and body-side sill moldings, Grigio Chiaro recessed license plate area and lower left- and right-side reflector surrounds, and larger 17 x 7-inch aluminum wheels with wider 225/45R17 all-season tires. 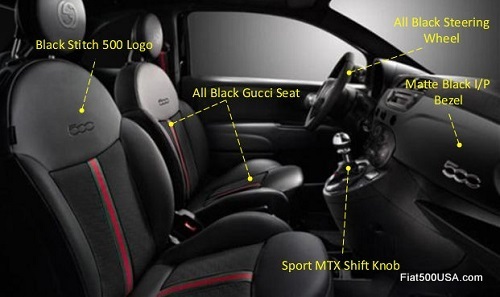 Inside, the Fiat 500L Trekking features a painted instrument panel bezel and a unique two-tone Nero/Marrone (black/brown) interior environment that carries through on its leather-wrapped steering wheel, door and door-panel armrest bolsters, low-back bucket premium cloth seats and floor mats. Tailored for individuals who want their all-new Fiat 500L to reflect their stylish lifestyle and need for premium appointments and convenience technologies, the all-new 2014 Fiat 500L Lounge model adds on to the Fiat 500L Easy model with an innovative Euro Twin Clutch six-speed transmission, 16-inch aluminum wheels, fog lamps, chrome body-side moldings and mirror caps, dual sun visors with illuminated vanity mirrors, premium vinyl-wrapped instrument panel available in two colors, premium heated leather front seats with power four-way adjust, two-way power driver’s side lumbar, 60/40 split-fold rear seatbacks with segment-exclusive fore-aft adjustment, recline and tumble feature; integrated armrest with cup holders, automatic dual-zone climate control and auto-dimming rear-view mirror with compass. Since the modern Fiat 500’s global launch in 2007, more than 1 million of these efficient and city-friendly vehicles have been sold in more than 110 countries worldwide. And now with the all-new Fiat 500L, the Cinquecento has grown up to accommodate even more of life’s greatest experiences and emotions all together: children, friends, journeys, music and community. 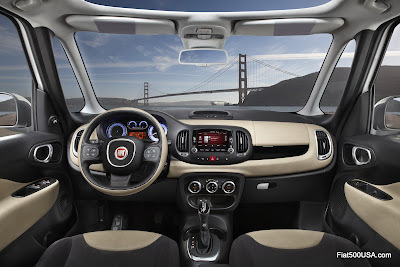 Customers can visit: Fiat USA to obtain more information about the all-new Fiat 500L. Discuss on the Fiat 500L Forum here. No doubt you've seen the latest Fiat 500 ad making the rounds on national TV featuring Pitbull, Arianna and friends. 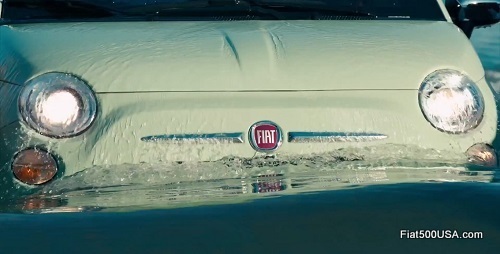 The commercial, called Beats Beach Party, is a continuation of the Immigrants commercial theme that Fiat originally started airing back in July 2012. The limited production Fiat 500 by Gucci will make its final appearance this year. 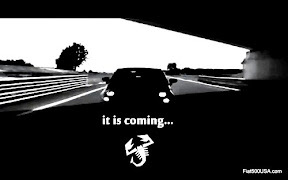 For 2013, Fiat will bring back both the 500 by Gucci sedan and 500c Cabrio along with adding a new option package called the Interno Notte. Readers of Fiat500USA.com will recognise this as the Fiat 500 by Gucci II concept car unveiled at the Detroit Auto Show earlier this year. The 500 by Gucci Interno Notte trim package uses dark exterior and interior accents to give this Gucci model an athletic yet sophisticated look. Conceived through a collaboration between Gianni Agnelli's grandson and fashion connoisseur Lapo Elkann, Gucci Creative Director Frida Giannini and Fiat Centro Stile, the Fiat 500 by Gucci was introduced to the world in February 2011 at the Geneva International Auto Show and quickly gathered over 3,000 pre-orders worldwide by the end of summer. The US model debuted later that year in September during the Fashion's Night Out event in New York City and also posted brisk sales. By late Spring 2012, the US Fiat 500 by Gucci was sold out. 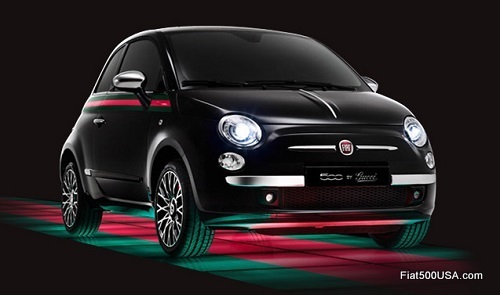 Fiat Studios will be receiving ordering information on the limited production 2013 Fiat 500 by Gucci over the next few days, make sure get your order in before they are all sold out! The first shipment of new Fiat 500L MPVs bound for the North American market has left the the Montenegrin port city of Bar last Friday, May 10. 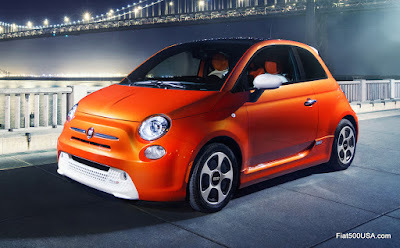 The shipment of 3,100 Fiat 500Ls will arrive at the Port of Baltimore in approximately two weeks! 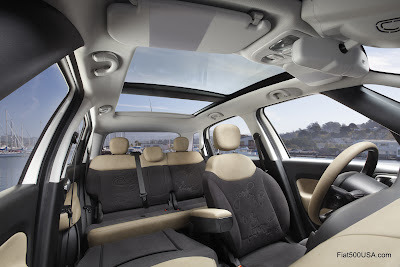 The roomy Fiat 500L is manufactured in one of the most modern car factories in Europe located in Kragujevac, Serbia. The former Zastava works factory was acquired by Fiat in 2008 and has been completely revamped with the help of $1.3 billion investment to make the factory a cutting edge facility. At full capacity, the Fiat 500L factory can produce up to 200,000 cars, with 99 percent of its production expected to be exported to more than 100 countries. 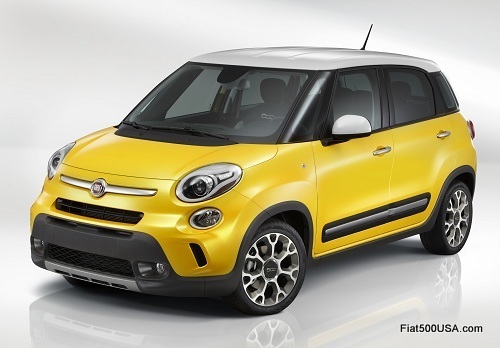 Look forward to seeing the Fiat 500L arriving at US Fiat Studios next month. 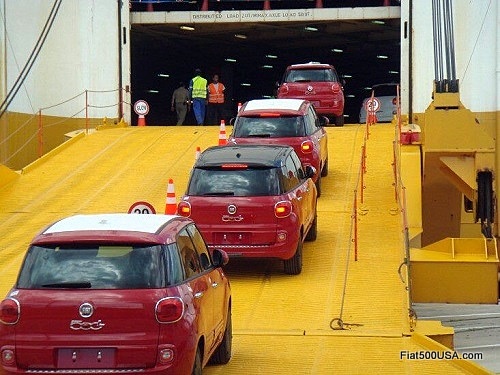 Below is the video of the Fiat 500L arriving at the Port of Baltimore! You'll notice some of the Fiat 500Ls have different covers. Fiat is testing out new shipping protectant coverings. 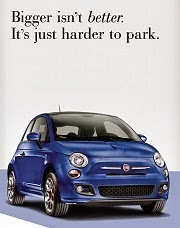 Read more about the Fiat 500L! Registration for the biggest Fiat event of the year has just kicked off! 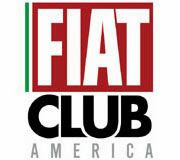 Called the Fiat FreakOut, the annual event is the national convention of Fiat Club America and is celebrating its 30th year. 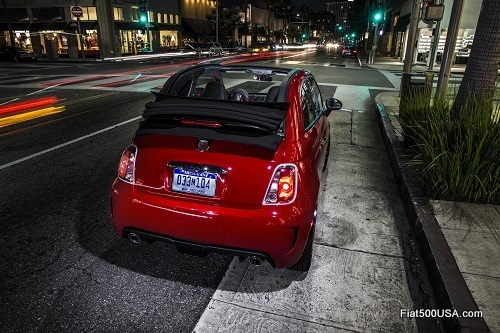 The Fiat FreakOut is a four day event filled with fun activities and friendly Fiat enthusiasts. This year's FreakOut promises to be the largest one ever and is being held on the famed Gold Coast area in Long Island, New York. It is a beautiful location, near beaches, museums and amusement parks. The busy four day event starts on Thursday, July 18th and runs through Sunday, July 21st. Scheduled are scenic drives, dinners and get togethers, plus Fiat vendors selling accessories and a Concours auto show that should not be missed. 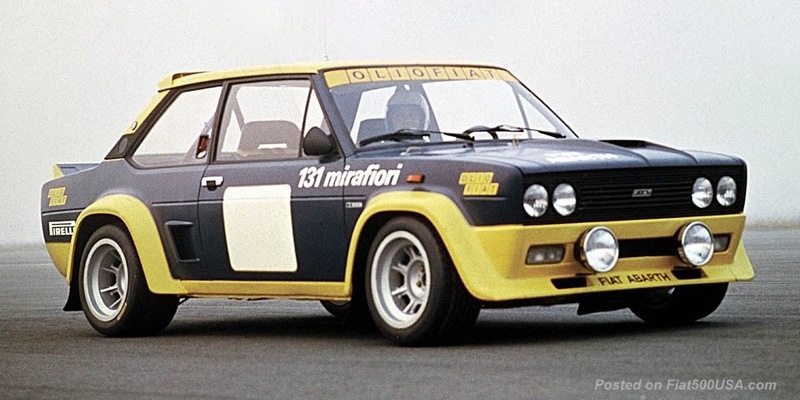 Besides all the many activities, the Fiat FreakOut is a great way to become familiar with some of the trendsetting Fiat Group cars of the past. 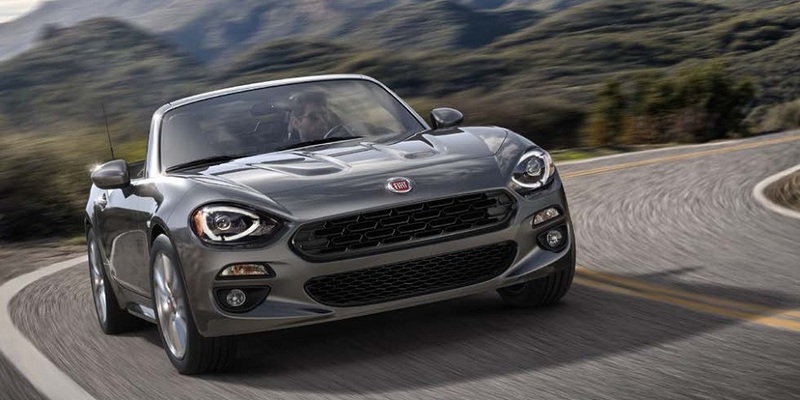 Expect to see a wide variety of Fiat, Lancia, and Alfa Romeo models and learn why the Fiat Group has won more European Car of the Year awards than any other car company. Homebase for the 2013 Fiat FreakOut will be the Hyatt Regency Long Island in Hauppauge, NY. The hotel has special rates in effect, make sure you reserve your room now. 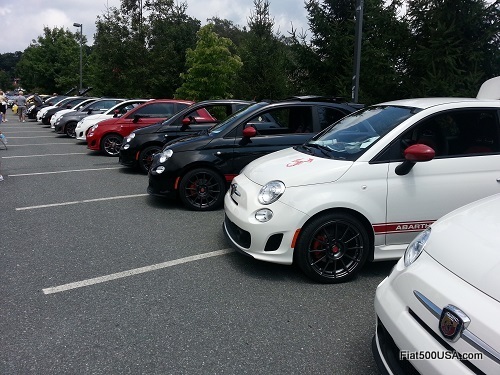 With nearly 100,000 new Fiat 500 owners in North American, the club foresees a large turnout this year, so don't wait! Use the links below to register and download the event schedule. See you there! •3:00 PM Registration, vendor area, Open until 9 PM. 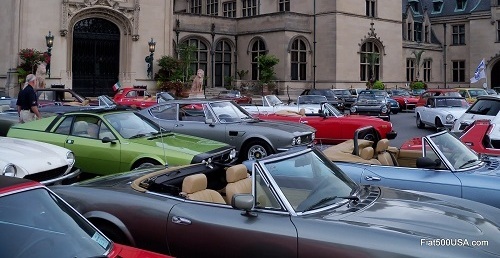 •9:00 AM Registration Open, vendor room open, wash station is 24-7.
to FFO13 Concorso at Old Westbury Gardens. *You must be logged in to your member account on the FCA webpage view the form. Remember, your username is your member number (same as always with FLU added to the front) and the password that was sent to you previously. Otherwise select forgot password and start from scratch.